Michael Gagliano won a high roller event on WSOP.com and took second in another at PokerStars NJ on Sunday. New Jersey's Michael Gagliano is used to making big waves online in Sunday major tournaments. 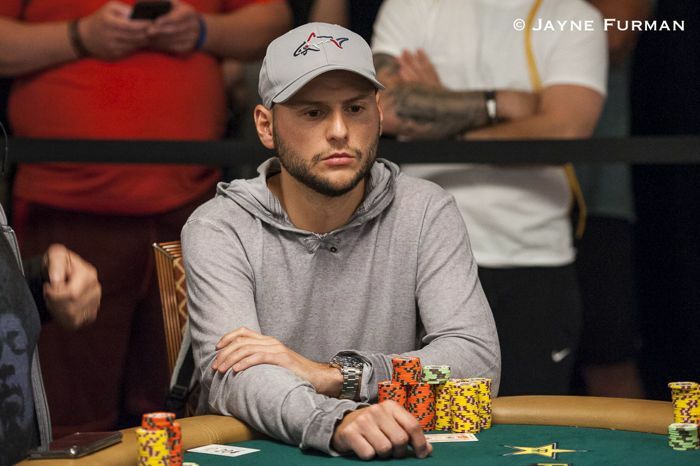 He may have outdone himself this past Sunday though, as he appeared on final tables in three events including taking first place in one high roller event on WSOP.com and second place in another at PokerStars NJ. Read on for a full look at the Sunday results from partypoker NJ, BorgataPoker.com, PlayMGM, WSOP.com NJ, WSOP.com Nevada, 888poker NJ, the three 888poker clients in Delaware, and Global Poker. The $15,000 Kick-off was the first major event to get underway at WSOP.com in Nevada and New Jersey on Sunday. The tournament provided the 15 players that cashed massive valued with $3,125 in overlay thanks to the 95 entrants, 98 rebuys, and 66 add-ons falling short of the $15,000 guarantee. 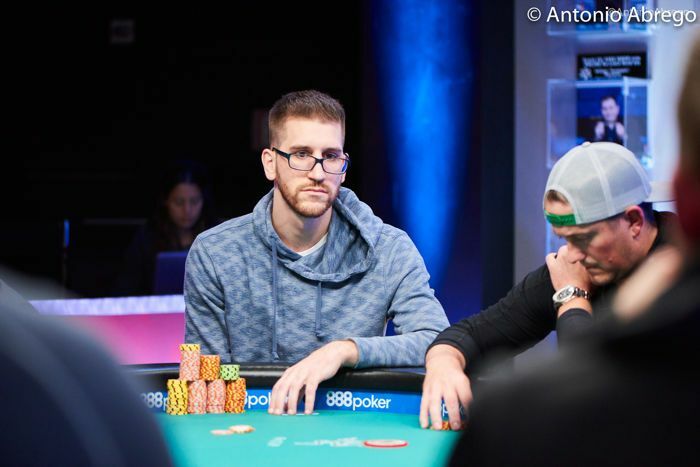 After more than five hours of play, Ross "BlueTang" Gottlieb added to his more than $800,000 in online scores by shipping the event for a healthy return of $4,275. Also sneaking onto the final table was Joshua "BruceLeroy" Baer with a ninth-place finish worth $405. After more than five hours of play, "PhilLaak" outlasted a field of 97 entrants and 56 rebuys to win the WSOP.com $10,000 Weekly Sunday for $3,968 where a total of 15 players cashed for a minimum of $306. Also at the final table were Bob "SLHalper" Taylor (third - $1,392), Anthony "Flawlessbink" Maio (fourth - $1,114), Kevin "protential" Miller (sixth - $832), and Daniel "iGetLost" Dizenzo (seventh - $682). 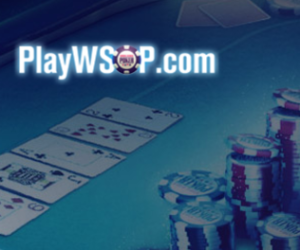 The World Series of Poker is the biggest and most trusted brand in poker and now it has an excellent social poker room that you can play from anywhere in the world. 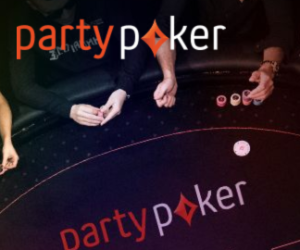 partypoker has operated since 2001 and is still one of the major players in the online poker world. partypoker NJ is a regulated and licensed poker room that offers you the opportunity to play all your favorite poker games also from New Jersey. PokerStars NJ offers unrivalled game selection, the biggest online poker tournaments, world-class customer service, and is considered to be the best regulated online poker site in the United States. 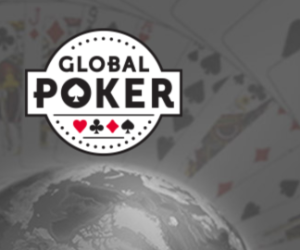 Global Poker is an online poker room with a difference. Withdraw your winnings with PayPal! The WSOP.com $12,000 Weekly Sunday Deepstack once again smashed its $12,000 guarantee with 142 entrants, 149 rebuys and 115 add-ons to generating a massive $18,473 prize pool. A total of 25 players cashed for a minimum of $222. 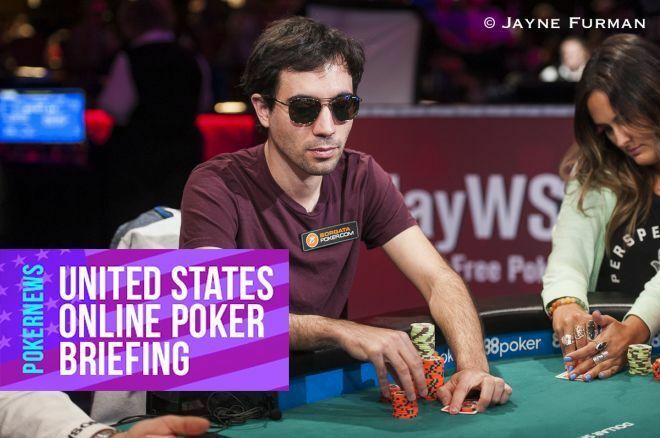 New Jersey's Michael "myGAME" Lavenburg added to his over $1.1 million in online tournament earnings by shipping the event for $5,080 after more than seven hours of play. Other notable players at the final table included Jenny "FunPlayer" Qui (third - $1,681), Michael "MikeyCasino" Azzaro (seventh - $720), and Robert "DanBilzerian" Gittelman (ninth - $333). The WSOP.com $100,000 GTD Sunday once again featured the biggest prize pool on Sunday at American regulated online poker rooms. The tournament attracted 245 entrants and 132 rebuys to create a massive $113,100 prize pool. A total of 35 players secured at least a min-cash worth $792. After more than 7 1/2 hours of play, "|devilscup_19" shipped the tournament for a huge top prize of $29,972. Finishing at the tailend of the final table were Michael "BUKOWSKI" Mulvania in seventh place for $4,072 and Ian "apokerjoker2" Steinman in ninth place for $1,923. The WSOP.com $25,000 NLH Sunday's 6 Max once again crushed its $25,000 guarantee with 47 entrants and 30 rebuys generating a massive $35,959 prize pool. After nearly 5 1/2 hours of play, Michael "itWasThatOr0" Gagliano added to his almost $3.5 million in online cashes in a huge way by shipping the event for a five-figure haul of $11,507. Gagliano has been ranked in the top spot in the Garden State at PocketFives.com for several months and is currently ranked in 172nd place in the world. Also at the final table were Ryan "sychosid" Hohner (fifth - $2,985) and Alexander "ShadowFiend1" Condon (sixth - $2,625). Michael Gagliano takes first place for $11,507. The BorgataPoker.com/partypoker/PlayMGM Sunday $35K GTD featured a modest $200 in overlay with 174 entrants (111 entries + 63 reentries) falling just one entry short of meeting its $35,000 guarantee. A total of 27 players cashed for a minimum of $315. After more than eight hours of play, Daniel "leinad" Buzgon (first - $6,131) agreed to a heads-up deal with "BigDickRick" (second - $5,629). Buzgon also shipped this tournament three weeks ago for $6,455 after agreeing to a heads-up deal with Michael "MikeDB7" DellaBarca. Yong "IReadYrSoul" Kwon also appeared on the podium in this tournament with a third-place finish worth $3,465, while Anthony "Flawlessbinkage" Maio (sixth - $2,135) and Daniel "iGetLost" Dizenzo (seventh - $1,785) both earned their second mentions in this report. Daniel Buzgon takes first place for $6,131. The NJCOOP-23: $100 Mixed NLHE/PLO [6-Max], $10,000 Gtd was the first NJCOOP event to kickoff at PokerStars NJ. The event attracted 133 entrants (74 entries + 59 reentries) to generate a $12,209 prize pool with 18 players cashing for at least $159. After nearly 5 1/2 hours of play, "JohnnyMania" won the event for $3,175. Yong "iFoldN0T" Kwon earned his second mention this report with a fourth-place finish worth $1,038 and Michael "GUUUULP" St. John was the first player eliminated at the final table in sixth place for $549. The NJCOOP-24: $150 NL Hold'em [Win The Button], $18,000 Gtd attracted 146 entrants (90 entries + 56 reentries) to generate a $20,104 prize pool with 20 players cashing for at least $323. 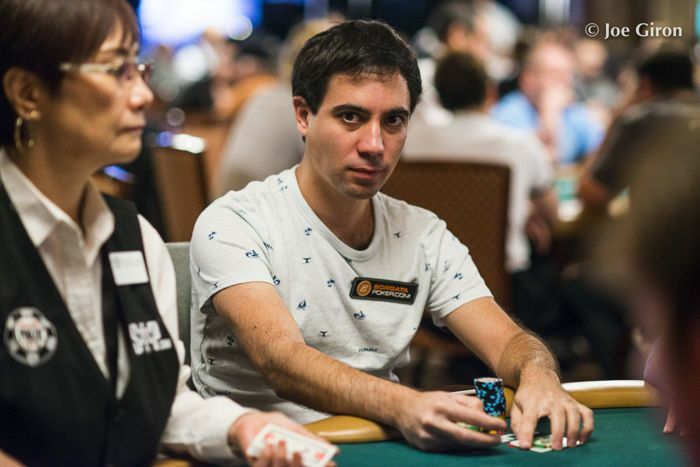 After more than seven hours of play, Daniel "AvaGray" Lupo won the event for $4,167. Michael "Cass N Hoes" Azzaro earned his second mention this report with a fifth-place finish worth $1,406. 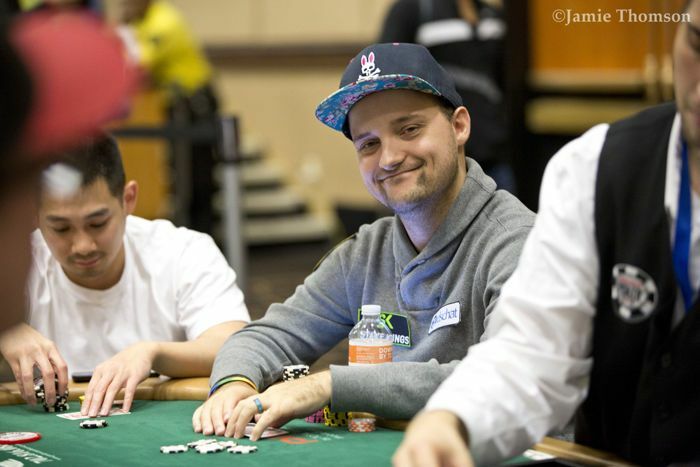 Other notable players on the final table included Jesse "ROU$EY" Elliot (eighth - $622) and Ted "TobogganM.D." Ely (ninth - $474). 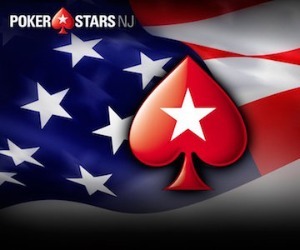 The PokerStars NJ NJCOOP-25: $350 NL Hold'em [Sunday Special SE], $70,000 Gtd featured the biggest guarantee among NJCOOP events this weekend and did not disappoint. A total of 224 entrants (149 entries + 75 reentries) generated a massive $73,472 prize pool. After more than 7 1/2 hours of play, "fireball1998" shipped the event for a five-figure haul of $14,309. Meanwhile, "mocbel" reentered four times during the event and made his or her fifth entry county with a runner-up finish worth $10,690. Michael "Cass N Hoes" Azzaro (third - $7,987) and Daniel "R@zzleDazz1e" Dizenzo (eighth - $1,859) earned their third mentions this report while Michael "J3tBl@ckP0pe" Gagliano (ninth - $1,389) earned his second. Mike Azzaro takes third place for $7,987. The NJCOOP-26: $200 NL Hold'em [Progressive SuperKO], $35,000 Gtd attracted 146 entrants (90 entries + 56 reentries) to generate a $20,104 prize pool with 20 players cashing for at least $323. After more than seven hours of play, Daryl "jordanofpkr" Black won the event for $8,070 including bounties. Finishing just behind Black was Anthony "FlawlessBINK" Maio in second place for $4,472 including bounties. Also cashing at the final table was Keith "donnysack" Donovan taking sixth place for $1,430 including bounties. After almost 3 1/2 hours of play, "OSUNeal" shipped the PokerStars NJ Sunday High Roller $10,000 Gtd for $5,170. Michael "J3tBl@ckP0pe" Gagliano earned his third mention this report with a second place finish worth $3,102. The NJCOOP-27: $100 NL Hold'em [Sunday SuperSonic SE, Hyper-Turbo], $10,000 Gtd attracted 137 entrants (111 entries + 26 reentries) to generate a $13,105 prize pool with 20 players cashing for at least $209. After more than two hours of play, John "cl1ckinbtns" Alesi won the event for $2,698 after besting Norman "ADMSnackBar" Michalek (second - $2,056) in heads-up play. Also at the final table were Daniel "loxonbagel" Buzgon (fourth - $1,194) and Kevin "T1111111111M" Campbell (fifth - $910). The Global Poker Sunday Teaser SC$20,000 Guaranteed was a huge success with 239 entrants generating a SC$23,900 prize pool. A total of 36 players finished in the money for at least SC$179. Mississippi's "Chiprekt" took down the event for SC$4,876 after around 4 1/2 hours of play. Also on the podium were Maryland's "JOR_LENE" taking second place for SC$3,585, and Arizona's "UrMomHasNHs" finishing in third place for SC$2,701. For the first time in recent weeks, the Sunday Scrimmage SC$50,000 Guaranteed smashed its SC$50,000 after attracting 271 entrants to generate a SC$54,200 prize pool. A total of 45 players were guaranteed a payday of at least SC$325. After nearly 6 1/2 hours of play, WSOP gold bracelet winner Ryan "protential" Laplante shipped the tournament for a respectable five-figure prize of SC$10,461. Joining this player on the podium were Arizona's "RagingTebow" (second - SC$7,859) and California's "Chriswt" (third - SC$5,962). Ryan Laplante takes first place for SC$10,461. If you play regulated online poker tournaments in Delaware, Nevada, New Jersey, or anywhere in the United States at Global Poker, and would like your real name appearing in future articles, please contact Jason Glatzer via email at jason.glatzer@pokernews.com or via Twitter under @JaxonPoker. Your Guide to Unlimited Free Coins on House of Fun!